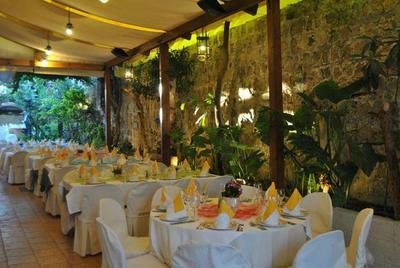 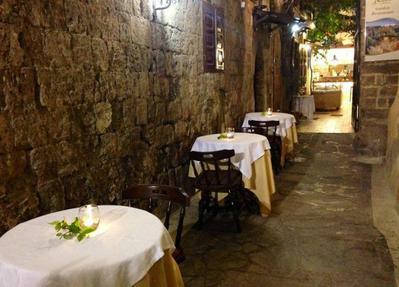 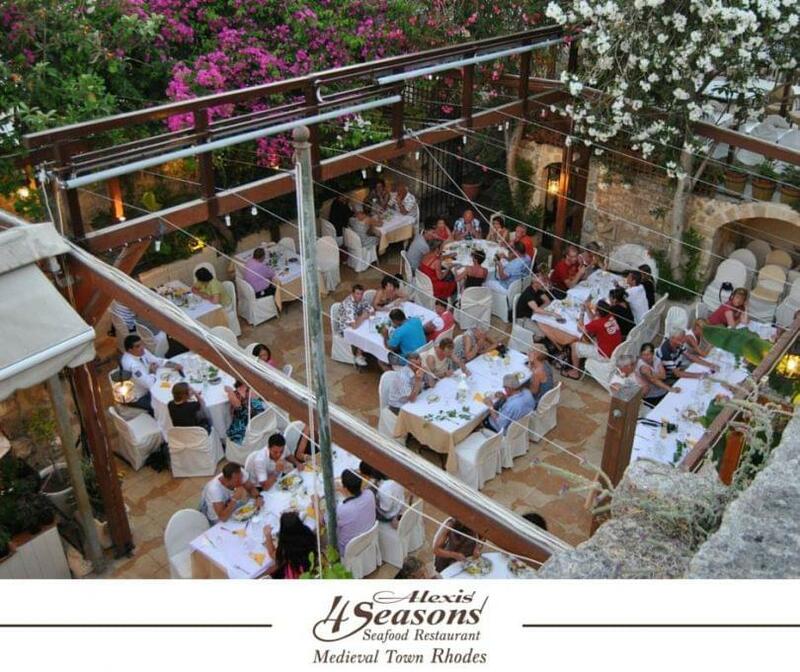 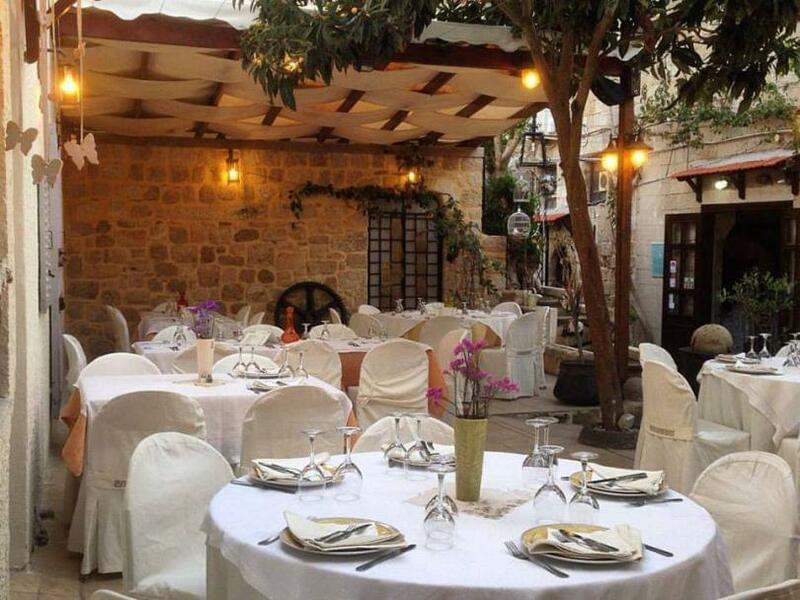 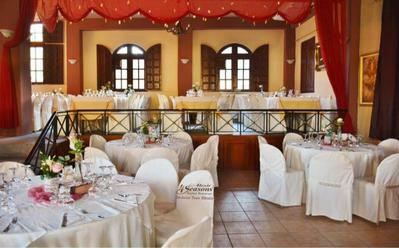 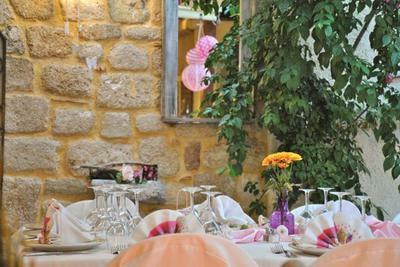 Αλέξης 4 Season Seafood Restaurant in Rhodes, located in the medieval town, offers Mediterranean cuisine. 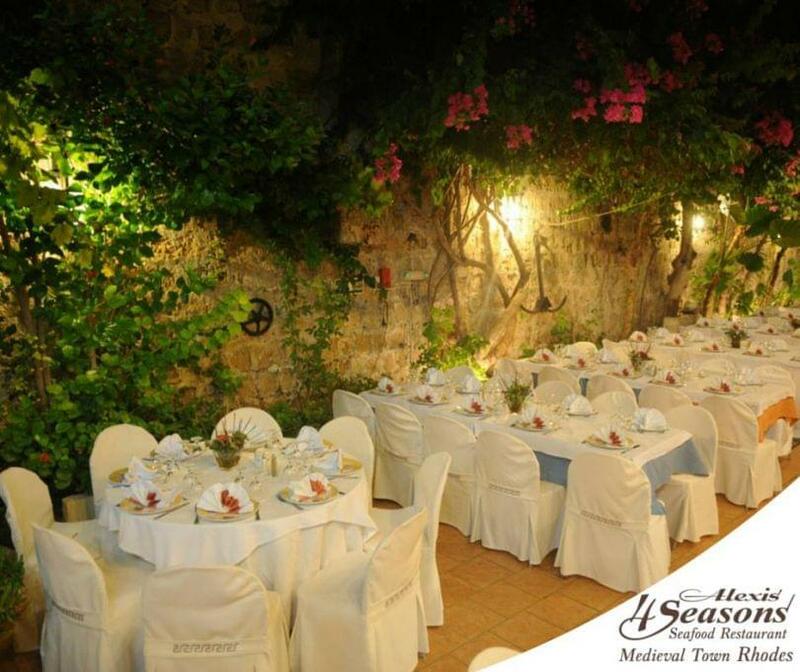 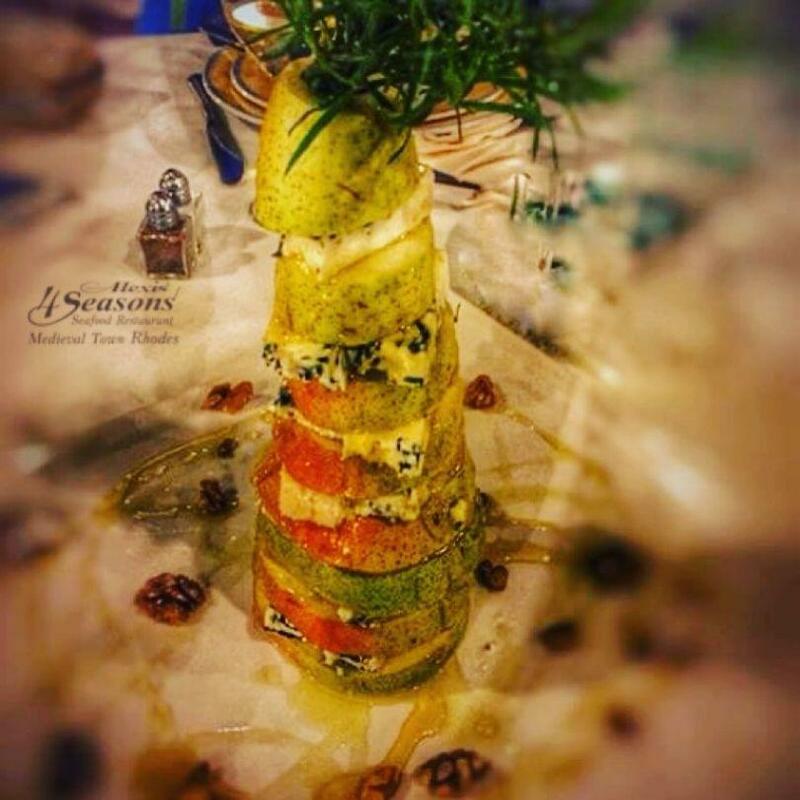 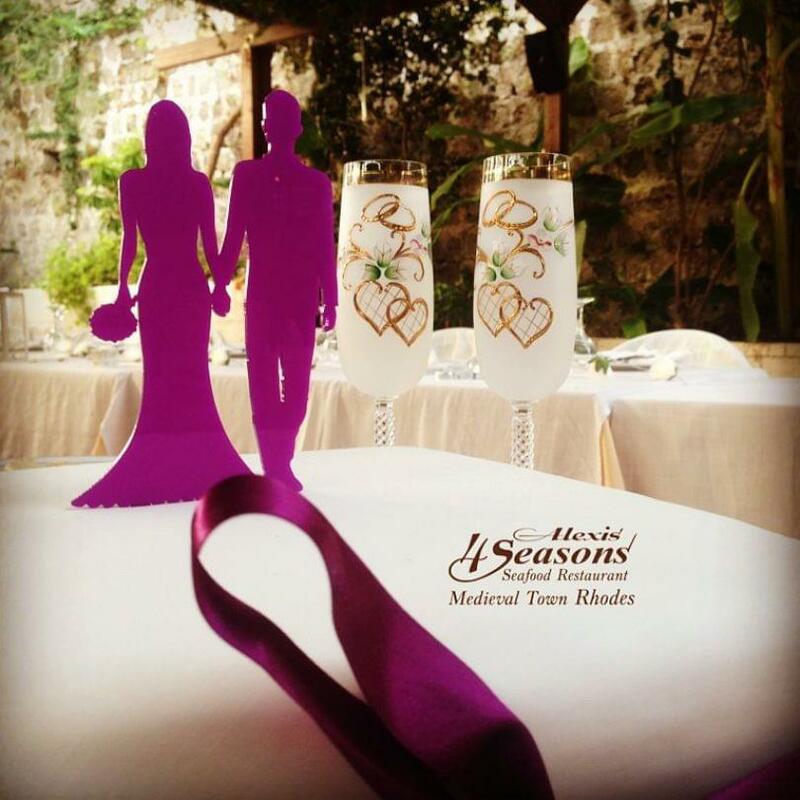 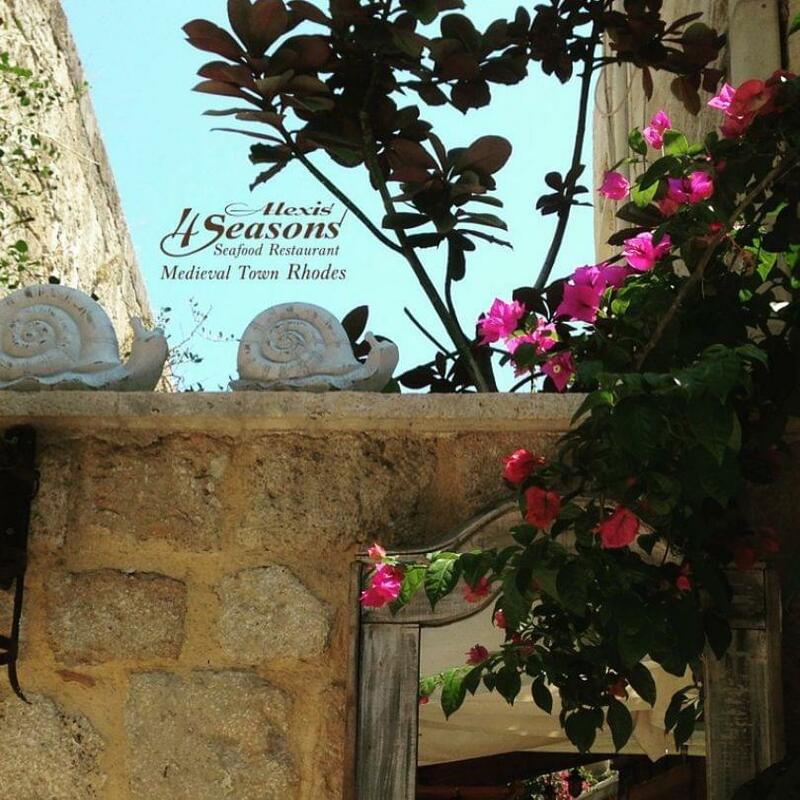 Housed in a unique building of special architectural details and exceptional decoration, this nice restaurant of Rhodes is waiting for you, for a special culinary experience. In a cool garden with three levels, colorful flowers, rose bushes, roseolas, banana trees, hibiscus, bougainvilleas and fountains and an indoor space with stone rooms, the family Katsimpraki created a beautiful combination of modern simplicity and elegant luxury. 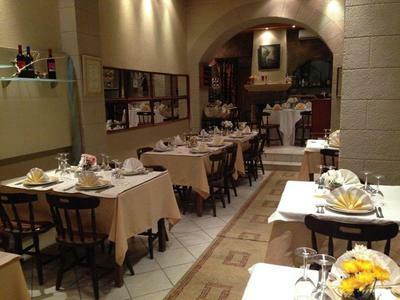 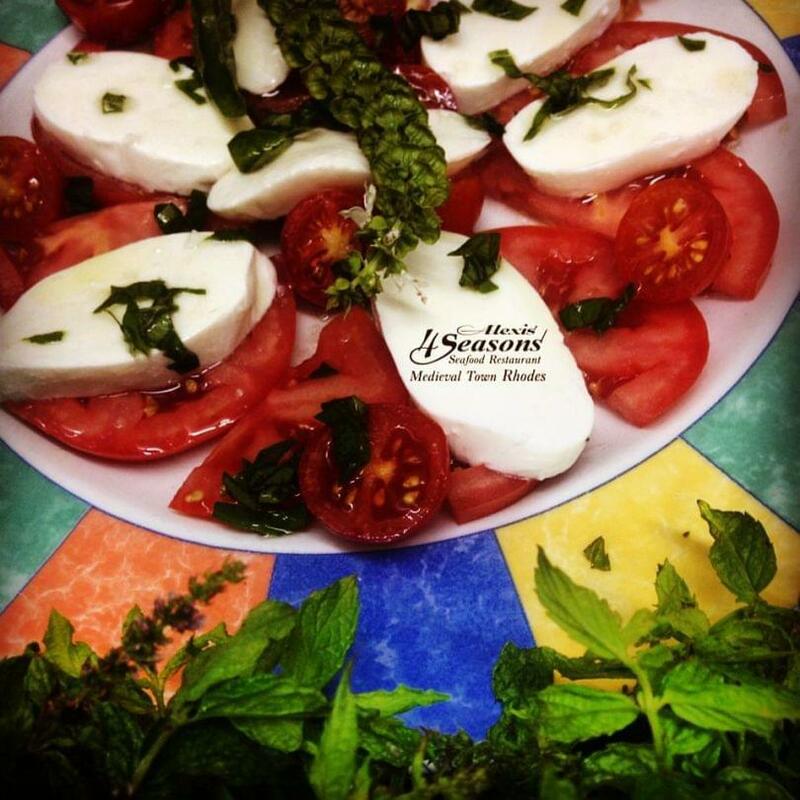 The menu includes Mediterranean specialities and recipes of Greek cuisine. 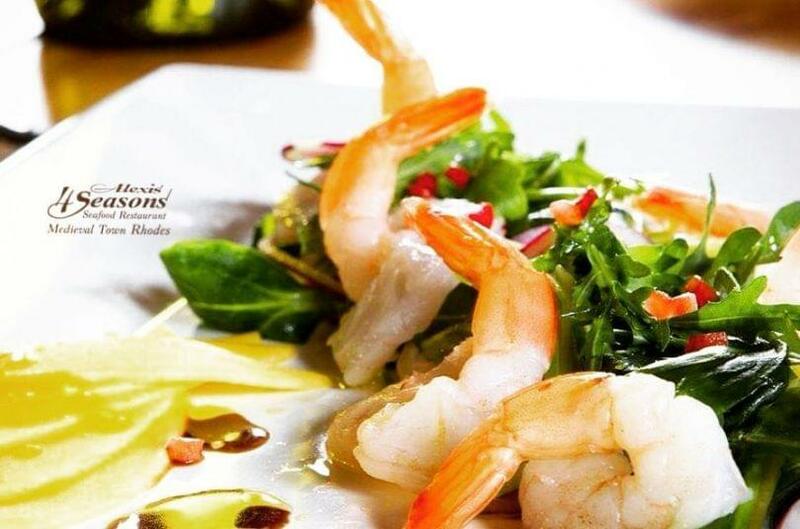 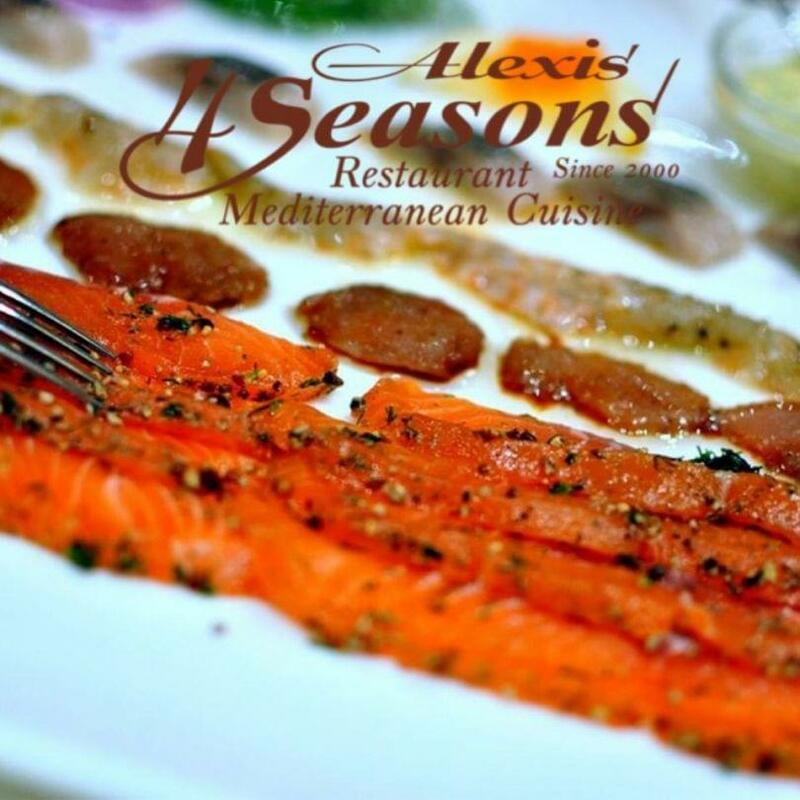 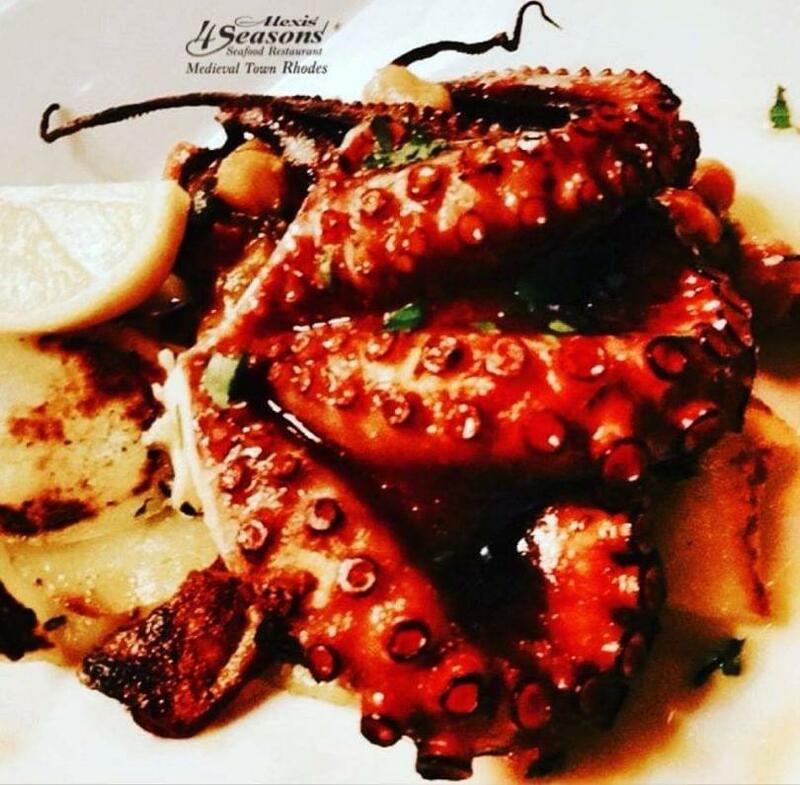 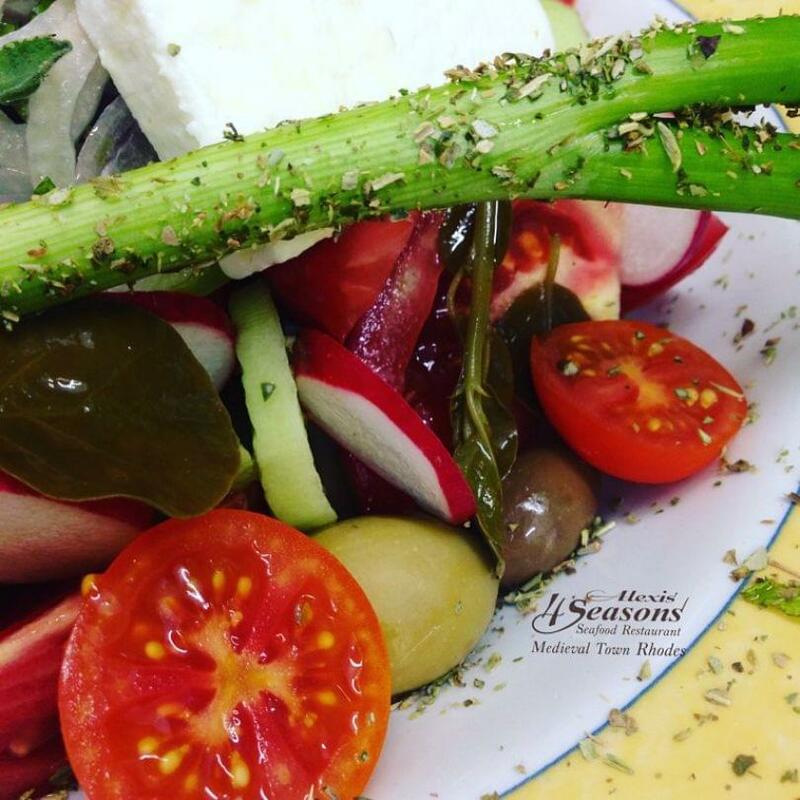 Here, you will find a wide variety of appetizers, fresh salads and main dish recipes based on fish, meat and seafood, prepared with the finest materials from all over Greece. 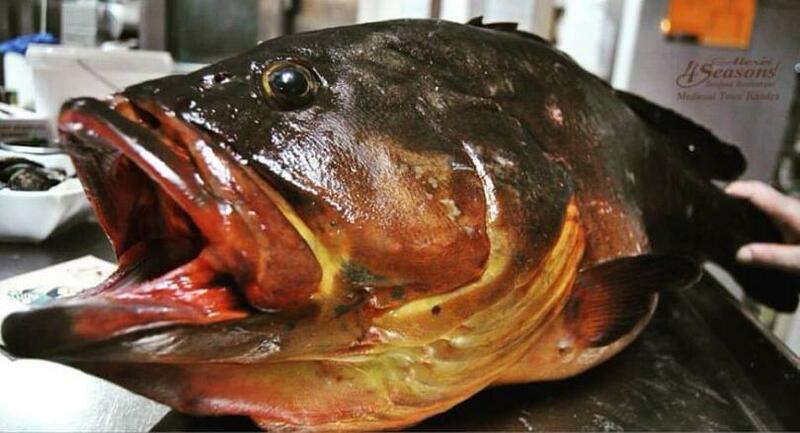 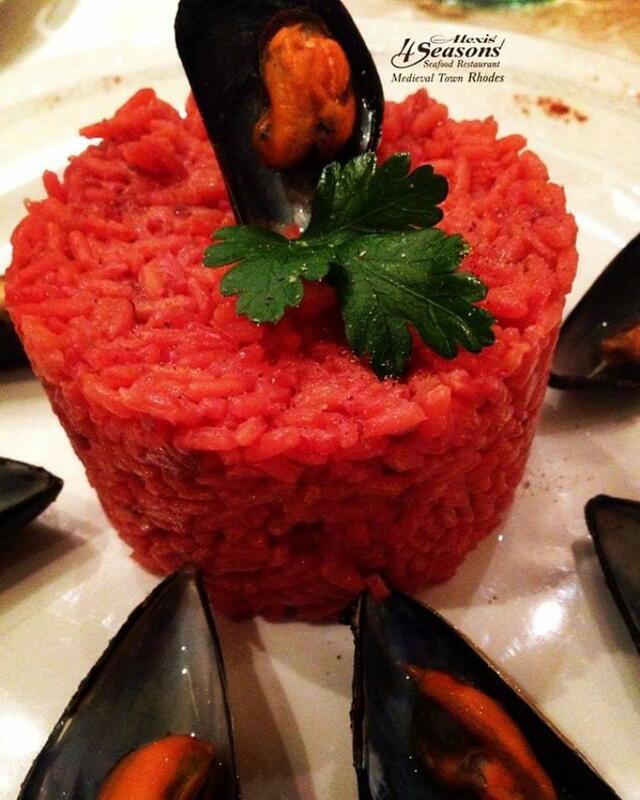 All recipes maintain the gastronomic tradition, while itroducing the modern greek gastronomy. 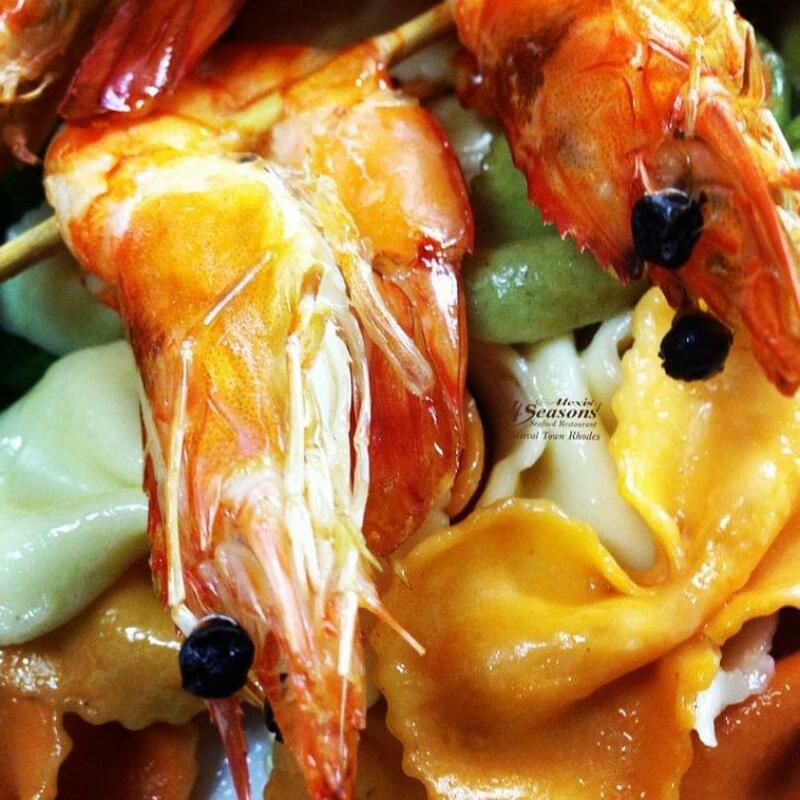 Try delicious risotti, pasta, grilled salmon, shrimp and fresh fish of the day. 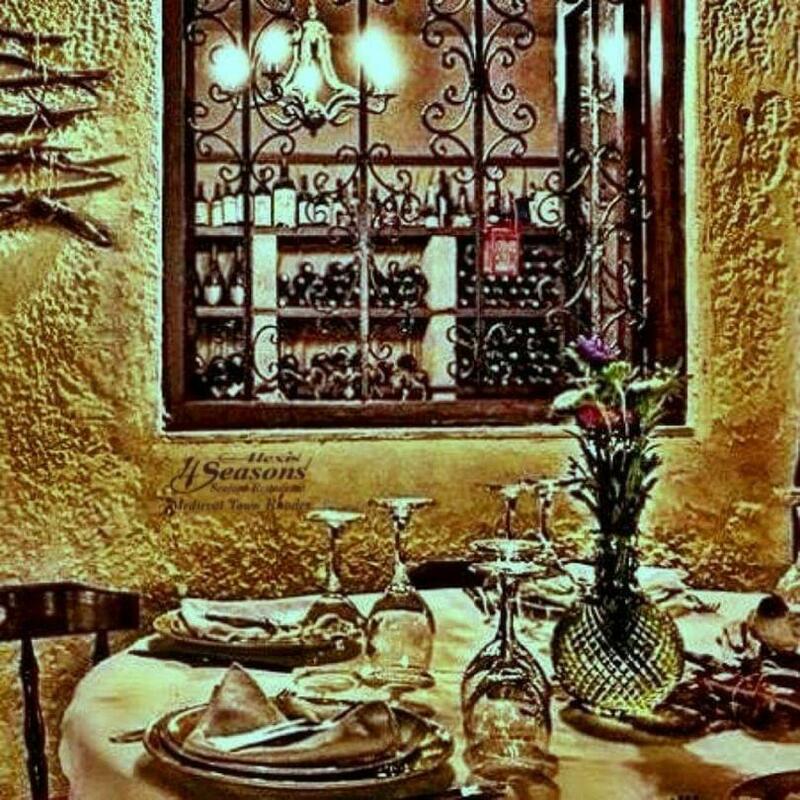 Fresh homemade desserts will complete perfectly your dinner, while an extensive cellar will offer you a fine wine experience. 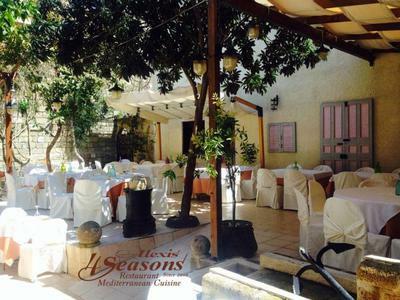 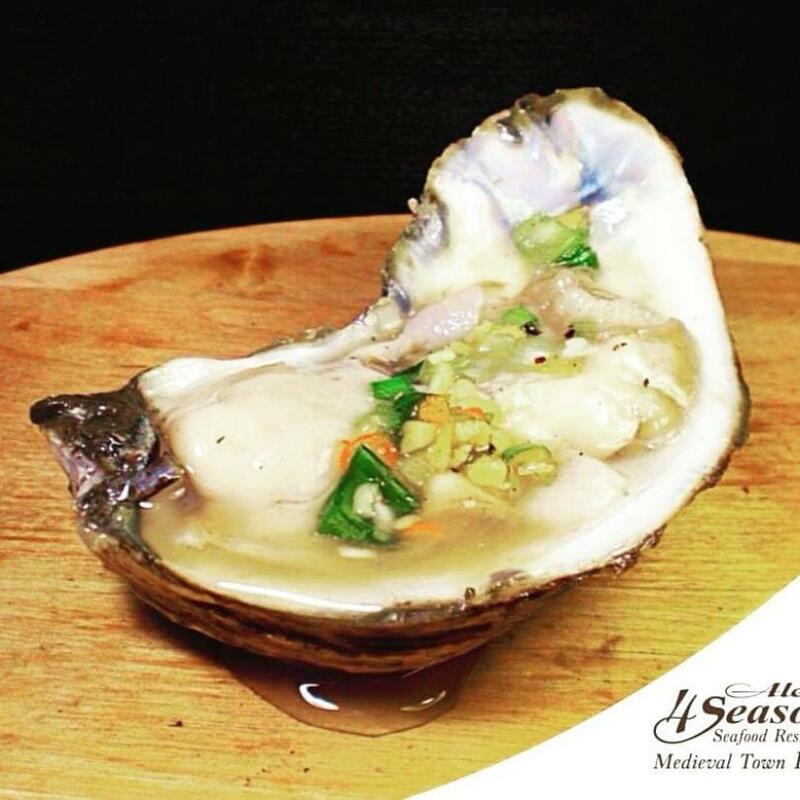 As far as customer’s entertainment goes, the restaurant occasionally host live music shows and it is able to cater for all kinds of social events with special meals or buffets. 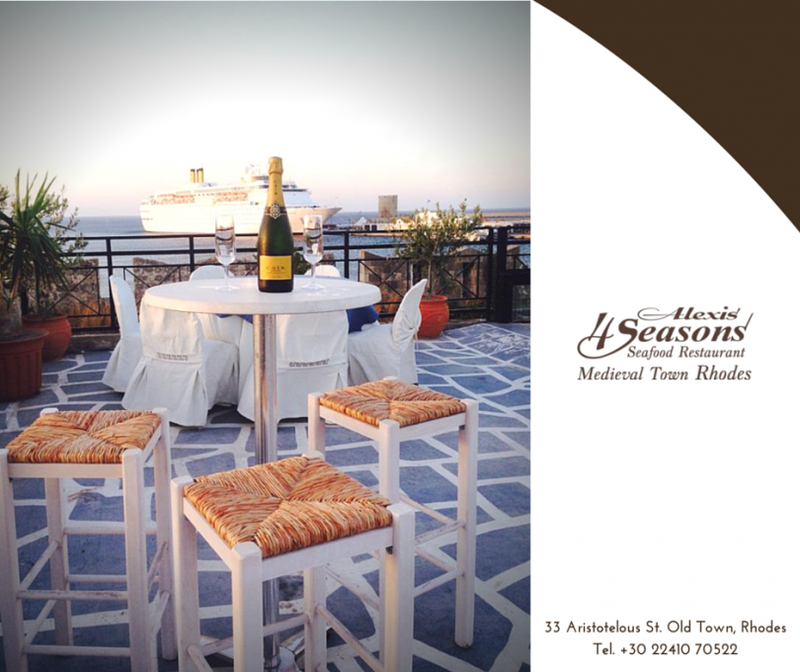 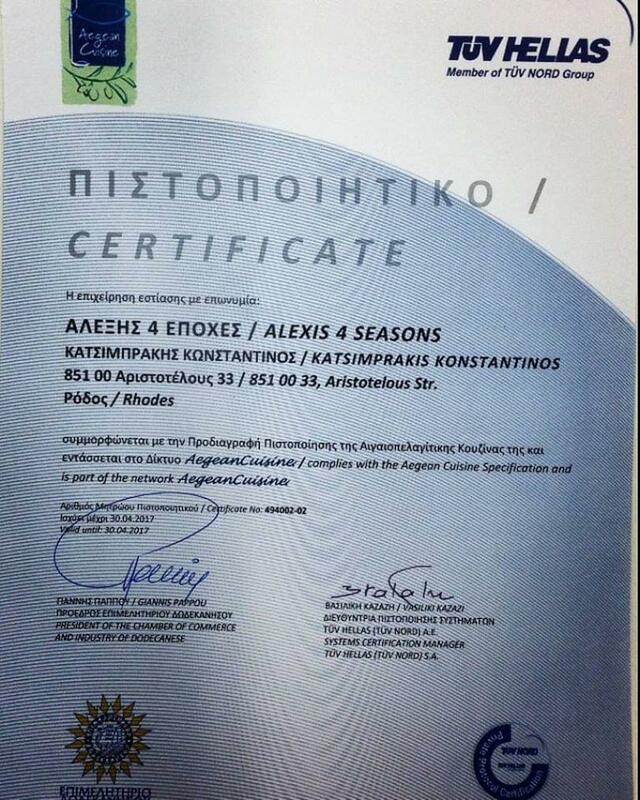 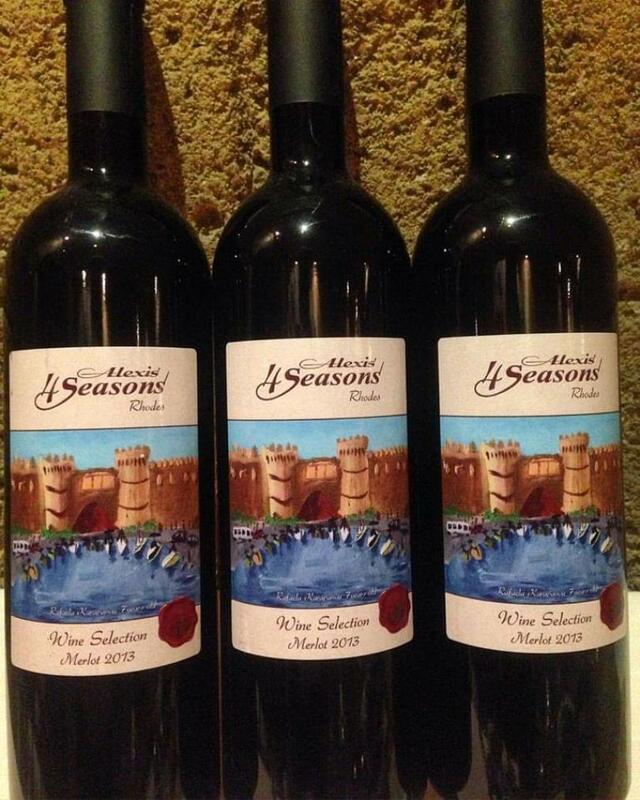 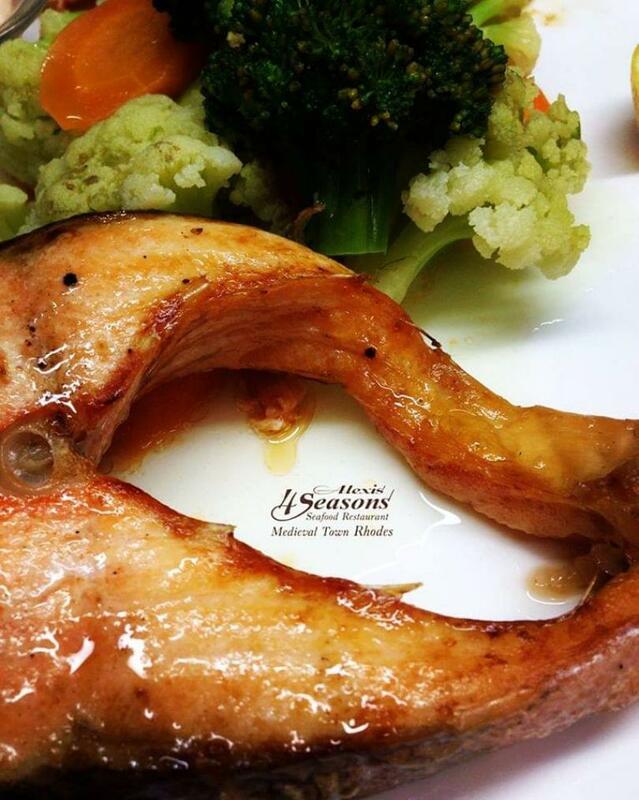 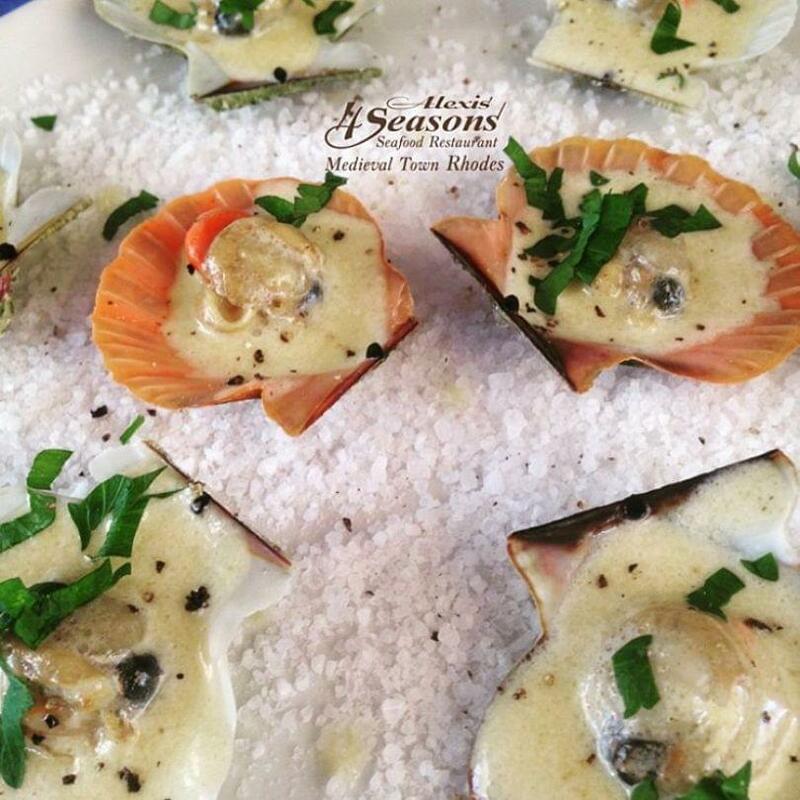 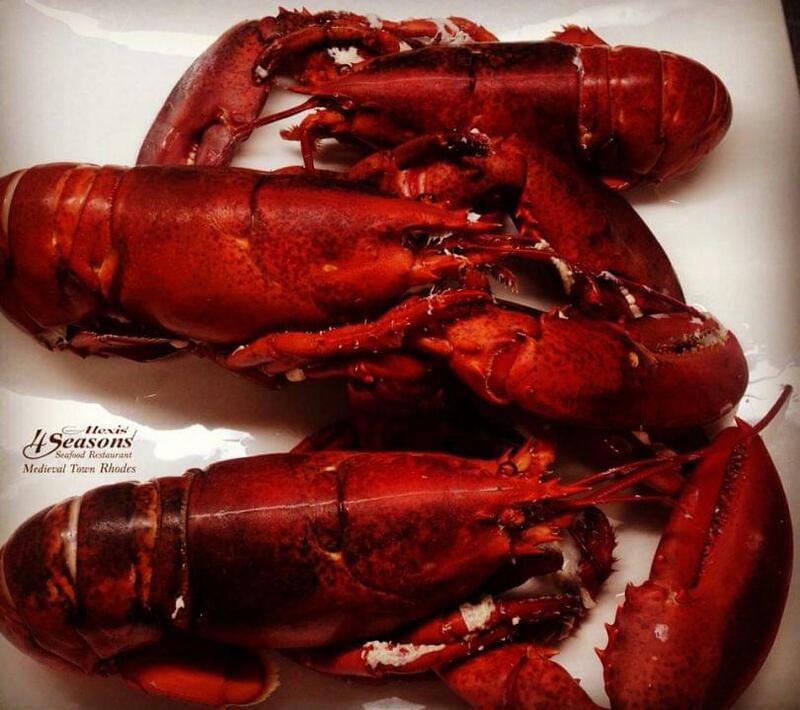 Make a reservation via e-table and enjoy discounts and special offers at Αλέξης 4 Season Seafood restaurant. 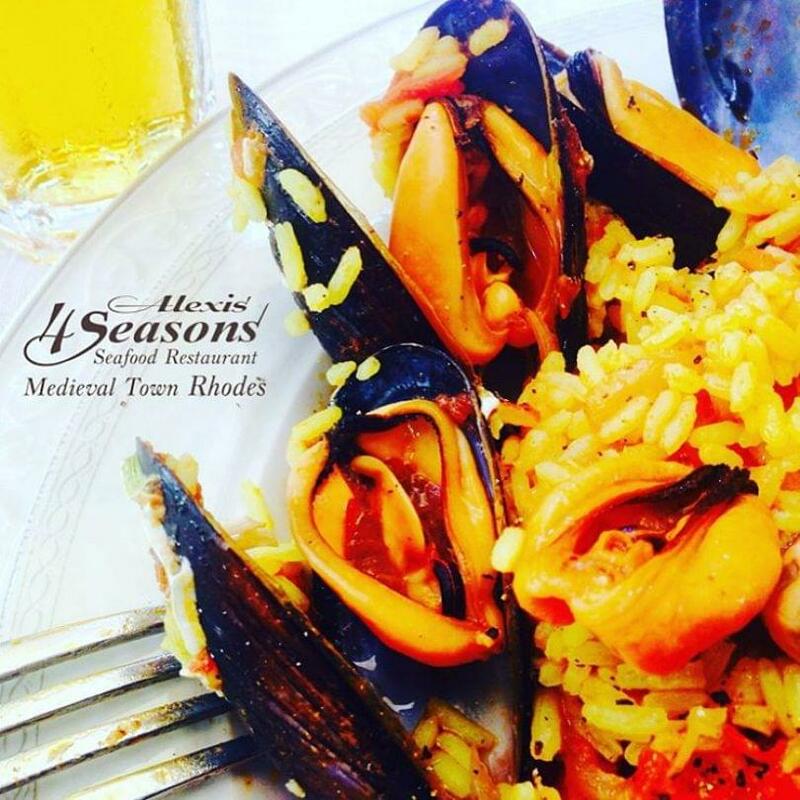 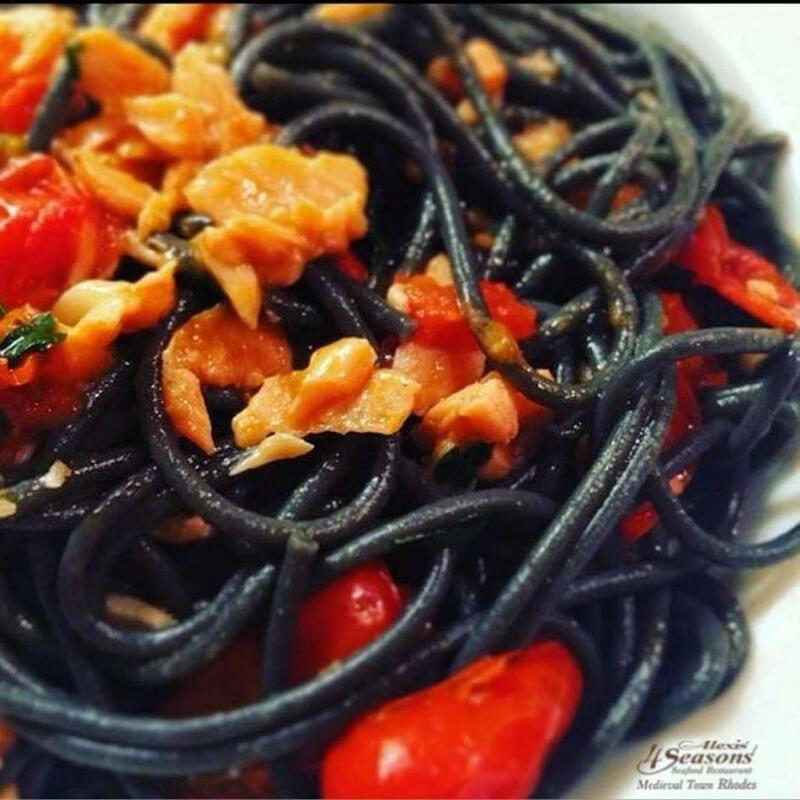 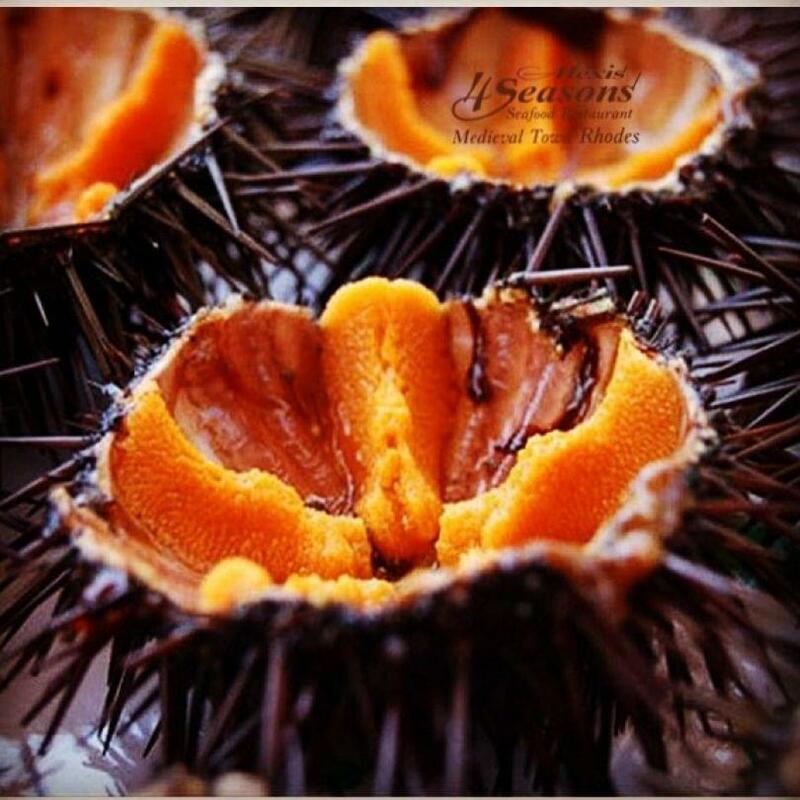 Discover the most unique tasty secrets of the Mediterranean. The restaurant offers a fixed menu at 25 euros per person (it includes a first cource, a main cource, dessert and a beverage of your choice) if you wish to dine at the roof garden area, or the a la carte menu, should you choose to be accommodated at the ground floor area!